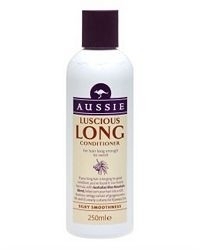 With Australian Blue Mountain Blend, helps turn your long hair into a soft, luscious, swingy curtain of gorgeousness. Oh, and it's nearly curtains for flyaways, too. I felt when using this my hair looked greasy after a few hours. It was heavy on my hair and took a while to rinse off. When styling, I found the style dropped out quickly, where normally I can keep a style for a while without using products.